Our first guest bloggers for Brighton Fringe are now going live. We are delighted to welcome Ulysses Black and Daisy Jordan from Barely Human Puppets as guest bloggers for FringeReview. FringeReview welcomes Karen Baker and Lisa Douglas as guest bloggers for their Brighton Fringe show, Mr Frank’s Cotton Club. Guest Blog: Whaddya Know – We’re Insane! 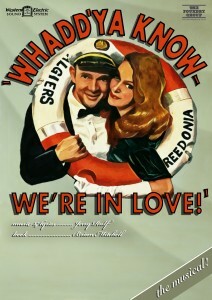 We are privileged to welcome Brian Mitchell, Jerry Rulf, Amy Sutton, Glen Richardson and David Mounfield from The Foundry Group for a joint (and hopefully joined up) Guest Blog to accompany their new show, Whaddya Know – We’re in Love! at the Rialto Theatre, Brighton. Attention Brightonians! – Here’s a fascinating guest blog from the London Fringe Theatre scene. 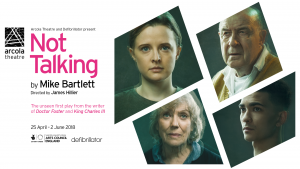 A Co-production between The Arcola and Defibrillator Theatre, Not Talking gives us a multi-perspective, and multi-disciplinary unique dive into the creative work of Epsilon Productions. More blogs are on the way.